Ensure field operations employees work safely and that they have a safe work environment. Generate revenue through the sale of Weatherford products and services. Ensures sales objectives, policies, and programs are being followed and that maximum safety/profitability is realized. Oversee workers in testing and adjusting equipment to obtain optimum operating performance. Work with management, both operations and safety, to ensure the workforce is well trained and equipped to perform their duties. 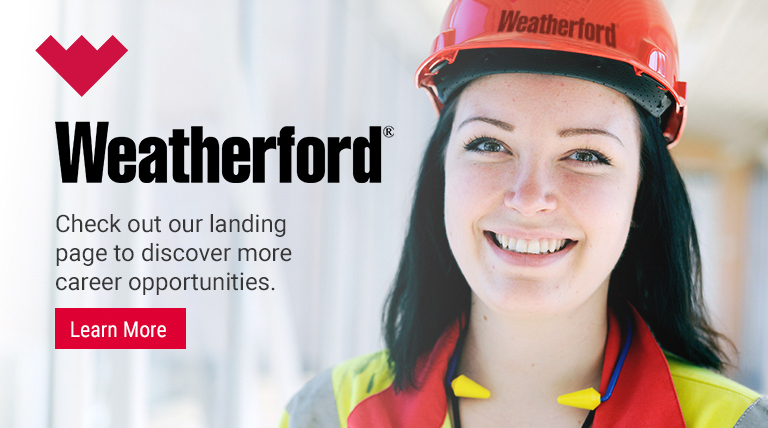 Know and understand Weatherford’s safety rules and policies and comply with all requirements. Assist in responsibility for the safety and wellbeing of the location to include all internal and external customers. Monitor field crews regarding operations and procedures and perform field audits. Monitor field crews to operate in a safe and efficient manner at all times. Work within an established geographic district to generate new business. Conduct sales visits and calls. Maintain contact and relations with established customers. Maintain account management regarding service and product sales by conducting sales visits and calls. Generate and submit bids to customers as requested. Check repairs needed as requested by management and customers. Relate field customer problems to management to ensure speedy resolution. Act as a liaison between Weatherford and customers. Travel to worksite to ensure equipment arrives and is returned meeting customer requirements. Map out locations for transportation and delivery of pumping units, pumping unit parts, or materials to and from the well site. Deliver as necessary. Assist in invoicing by obtaining customer signatures on sales orders in a timely manner. Perform time, cost, and labor estimates for completion of job assignments. Perform various other duties and activities as assigned by your supervisor within the physical constraints of the job. Available on a twenty-four (24) hour call basis to respond to customer needs. Maintain an eligible driving record.